Map of Ireland compiled from the Surveys of the Board of Ordinances and other approved Documents by J. & C. Walker 1838 © Copyright David Hale/Mapco 2014. 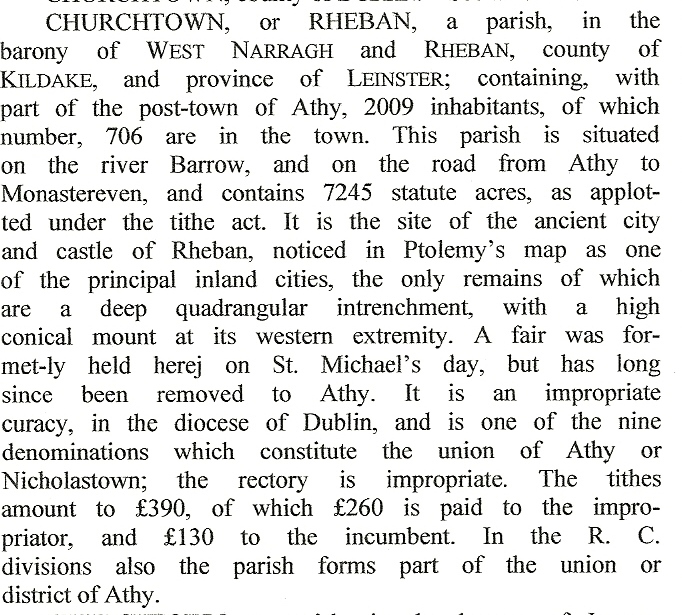 Athy was where most of your Clare family was baptized and assumed born. Stradbally was where James Thomas Sr. and Kathryn Connell or O'Connell were married on 1 Aug. 1838. I found out by looking at the Pierce Clear baptismal record that his address was recorded as RHEBAN. Findagrave.com page has been added as a way for us to find our families final resting place. Thank you to my findagrave friends that have provided headstone photo's and additional information.